Thread: Political Prisoner Leonard Peltier is Up for Parole This Month. Please support his release. Very Sad News - Obama Bombs Out On Doing Justice To An Innocent Man! Peltier is Innocent and was convicted on false evidence by the racist and unjust FBI and Federal Prosecutors. He is now 72 and in very poor health - not expected to live through four years of Trumpf - who would never even consider releasing him and would consider bringing torture into prisons in the USA. I'm deeply saddened. Our sad Nation was founded on the genocide of the Native Americans and we have never acknowledged the crime - and that the hate and shame of that continues. I have sent so many emails to Obama asking for Peltier to be pardoned. The Pope did two days ago, as did one of his Federal Prosecutors and even one of the senior FBI agents at the incident [FBI armed attack on peaceful Native Americans in their land/homes]. Sad. Sick. Unjust. Typical of the USA, sadly. The Office of the Pardon Attorney has announced President Obama has denied clemency to imprisoned Native American activist Leonard Peltier. Peltier is a former member of the American Indian Movement who was convicted of killing two FBI agents during a shootout on South Dakota’s Pine Ridge Indian Reservation in 1975. He has long maintained his innocence. Amnesty International condemned the decision. Peltier’s attorney Martin Garbus appeared on Democracy Now! today. "I think it’s fair to say that if he doesn’t get commuted by President Obama, he’ll die in jail. He’s a very sick man," Garbus said. "So, Obama’s not granting him clemency is like a sentence of death. Trump ain’t going to do it. And he’s very sick, and he’s not going to live past that time. I don’t want to be negative, but that’s the reality. He’s very sick, and he’s been in prison over 40 years, hard years, six years of solitary." Garbus was notified of Obama’s decision earlier today. 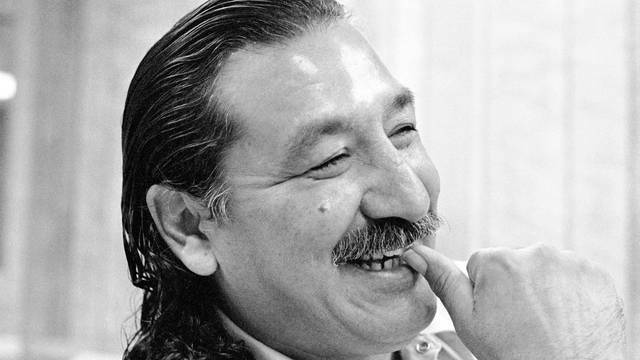 In an email, the Office of the Pardon Attorney wrote: "The application for commutation of sentence of your client, Mr. Leonard Peltier, was carefully considered in this Department and the White House, and the decision was reached that favorable action is not warranted. Your client’s application was therefore denied by the President on January 18, 2017... Under the Constitution, there is no appeal from this decision." Very sad news but not surprising unfortunately. Bill Clinton never considered it either. Obviously Bush and Trump wont go there. I am stunned that he commuted Manning's sentence.